This is a VHDL implementation of the project described at Zimmers website (the files in 251715.zip). The original project used a combination of a TDF file (Quartus Text Design File, looks a bit like Abel, with & for AND, # for OR and ! 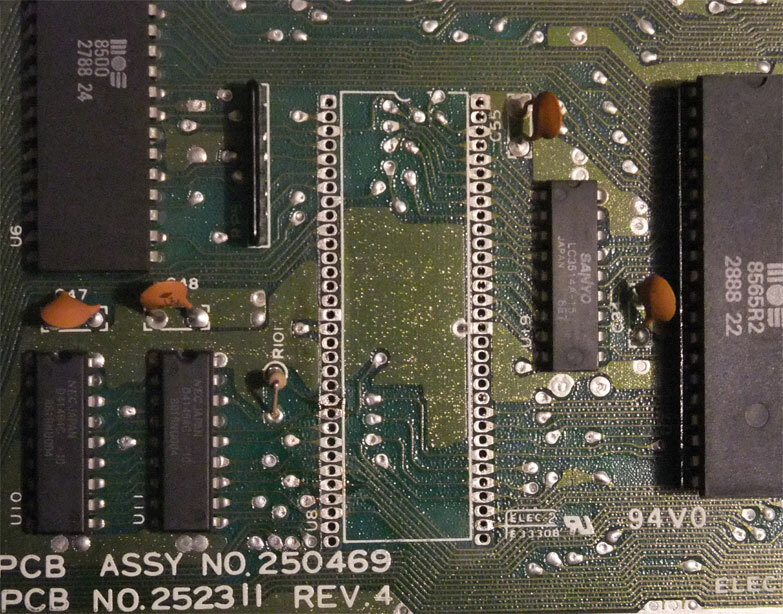 for NOT and the same operator precedence as in Abel) for the PLA chip, which was used in older C64 models, and two Quartus schematics entry files, to model the new chip used in newer C64C models (see C64 Wiki for details), which integrates the old PLA chip and some of the surrounding support chips in one big 64 pins chip. See the readme of the original project for the details of the project and author credits. 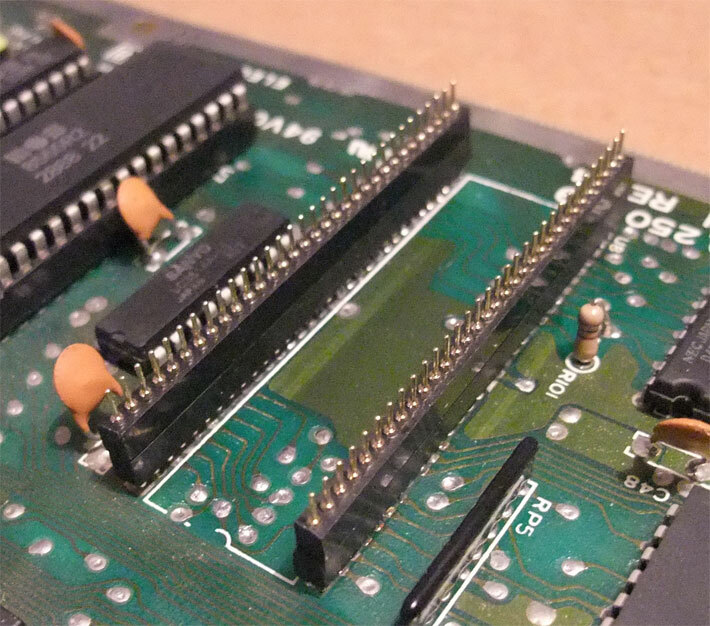 You can find all VHDL sources, the Eagle files and the old project files at my GitHub repository. 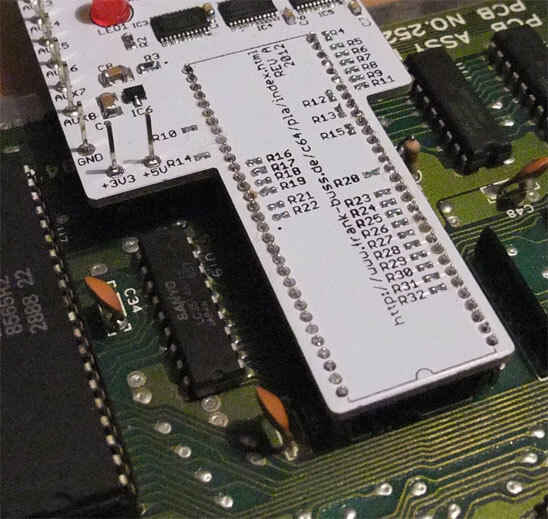 Most of the VHDL implementation was written by Jani Kuituniemi, who learned VHDL with this project, check out his blog and plans to implement a better BASIC for the C64 and a turbo mode for the 6510. On GitHub the original design is on the "gates" branch. 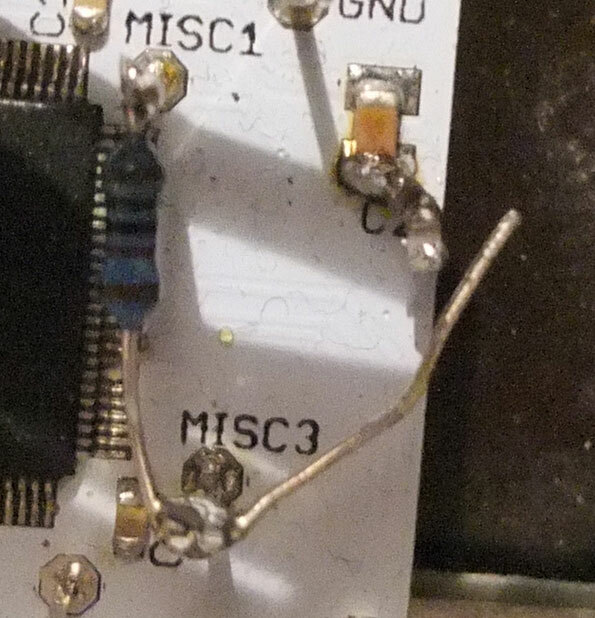 On the "master" branch I've implemented a simpler, more high-level description of the hardware. First I converted the C64PLA7.TDF file. It was just a bunch of logic functions and an output enable pin, which switches all outputs to tri-state, which I basicly could translate with text replace and adding some parantheses, because in VHDL the AND and OR operators have the same precedence. 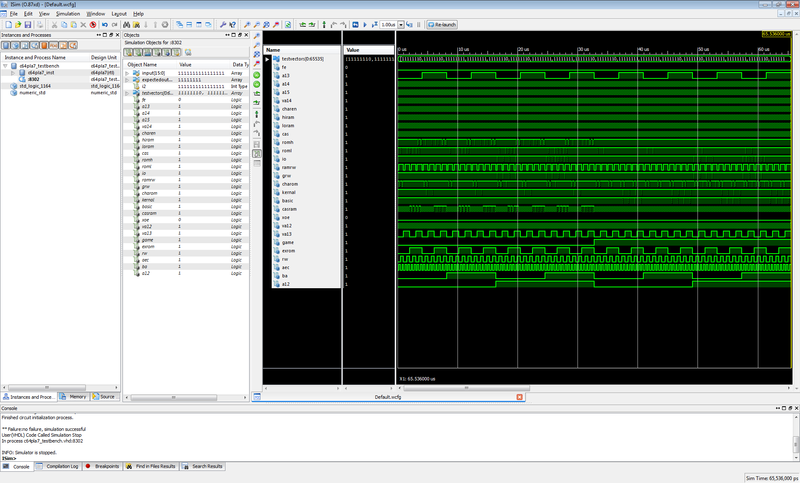 For testing the implementation, I've created a VHDL test bench. 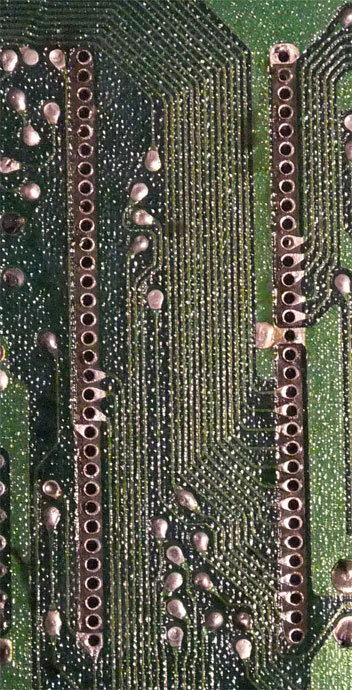 There is a C program at zimmers.net, which is used to create the data for an EPROM for repairing broken old PLAs and which generates all possible input/output combinations of the chip. 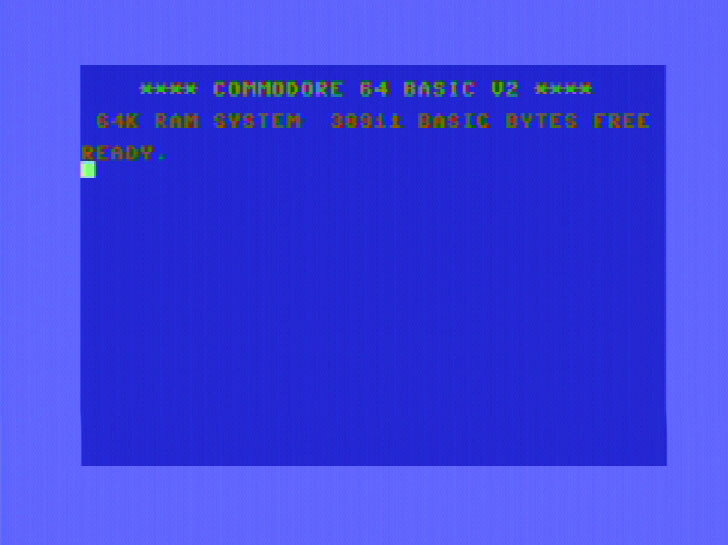 I modified it to create a test vector, which I copied to in the test bench c64pla7_testbench.vhd. and specified this in Process Properties (right click "Simulate Behavioral Model", click "Process Properties", select "Use Custom Simulation Command File" and specify the file in "Custom Simulation Command File"). The last line of isim.cmd was "run 1000 ns;", which I've changed to "run all;". This means it runs for an unspecified amount of time, in this case until the loop is finished and the last command, "assert false report "no failure, simulation successful" severity failure;" is executed, which stops the simulation at the end (if there are some clocks in infinite loops simulated, it might run forever otherwise). This works for other simulators, like ModelSim, and more complex test benches as well. 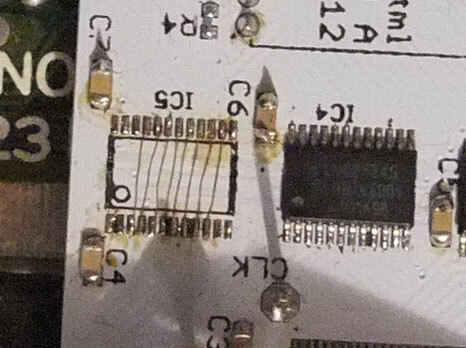 When programmed in a CPLD, it can replace the 28 pin PLA 906114, e.g. 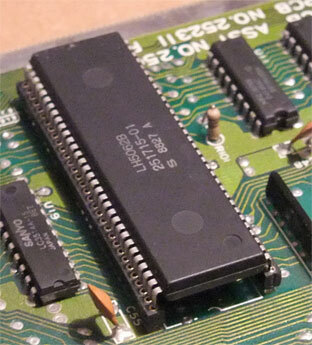 used in C64C models with PCB assembly number 250466. 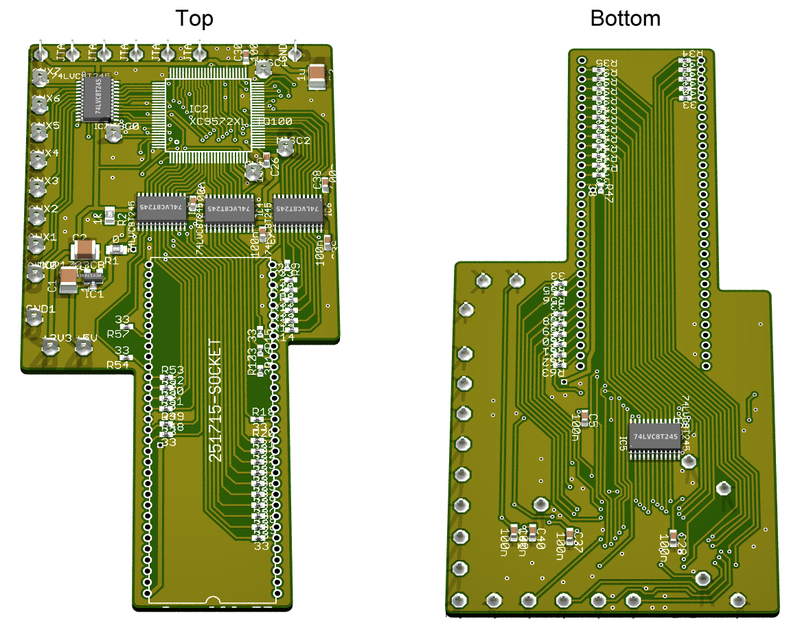 These are the schematic diagrams of the new 251715 PLA used in newer C64C models (with PCB assembly number 250469) is a 64 pin chip, as implemented with the two Altera CPLDs in the original project: chip1.pdf, chip2.pdf . 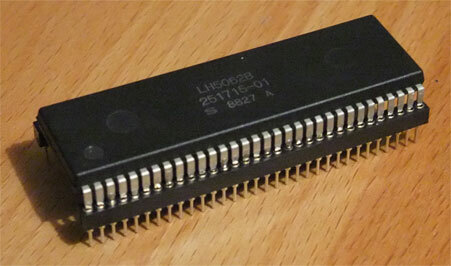 And in some of the latest models there is a 252535 PLA, with integrated color RAM. Now I can use the old PLA chip or the new implementation. 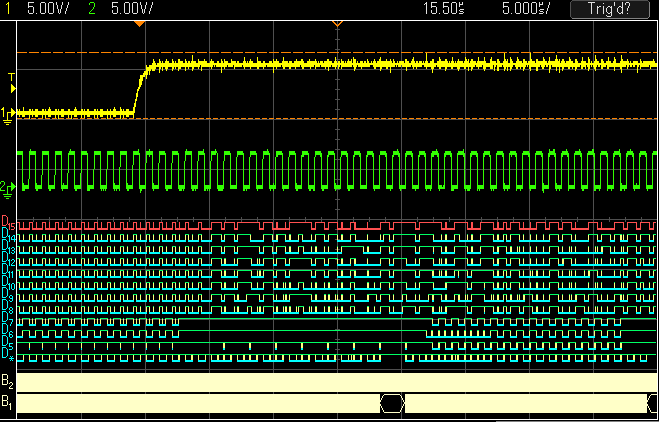 With a 47 pF capacitor the CAS to CASRAM delay was about 50 ns, which was too much, but without a capacitor, so maybe just the parasitic capacitance and the extra delay because of the additional output/input, the delay was about 20 ns. But after fixing this it worked! I'm sure there will be more problems when I try to use some cartridges or play some games with it. For some more testing I've added a function to turn on the LED on the PLA board when accessing the memory at IO1 ($DExx) and to turn it off for IO2 ($DFxx). 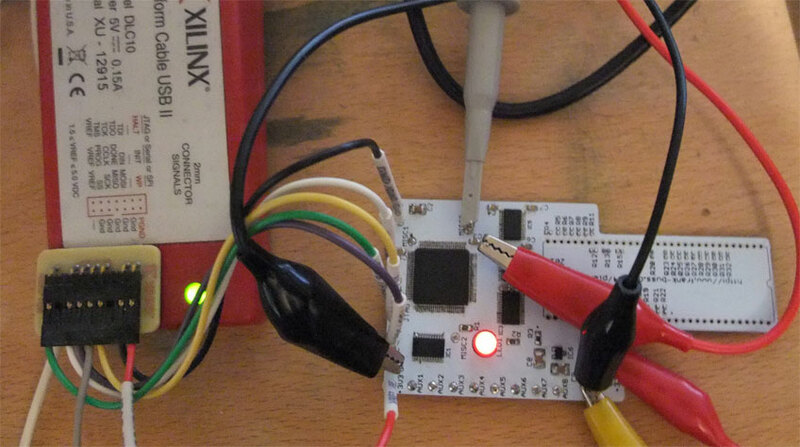 My first implementation was to change the LED at the same time when IO1 or IO2 is set to low. This didn't work, because of glitches on IO1 and IO2 when the address bus is not stable: Sometimes the LED was turned on, but some milliseconds later turned off again, sometimes it was turned on on its own. 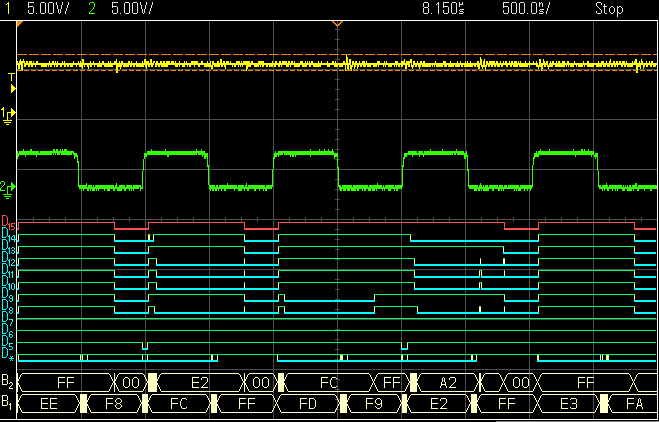 There is not much logic on the CPLD to implement a clean delay with a higher frequency oscillator and I didn't want to implement another external RC delay, but turns out that using the falling edge of CAS for sampling IO1 and IO2 is very reliable. A "POKE56832,0" from Basic turns the LED on and "POKE57088,0" turns it off all the time. After some more debugging from Jani and me, the "gates" version in GitHub works now, too. 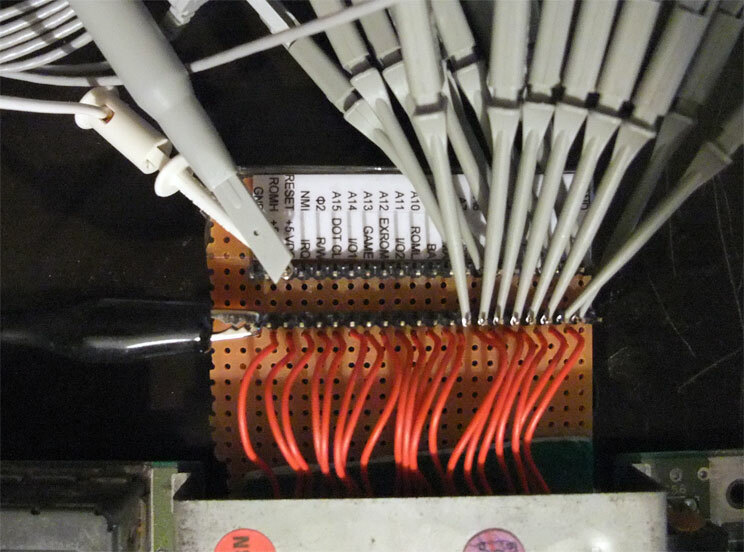 Was just a minor problem in the multiplexer. Remember: use always testbenches.